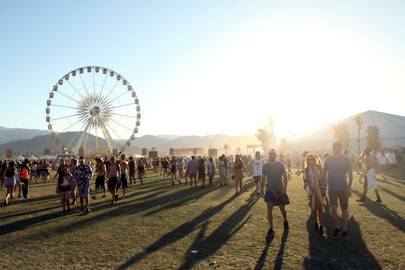 Coachella generates over 100 tonnes of rubbish over the two weekends, with only around 20% of it being recycled. In an attempt to reduce waste, festival attendees are encouraged to bring ten used plastic bottles to designated recycling stations in order to receive a free, reusable bottle. “There’s more focus of recycling now, but there’s still a hell of a lot of trash thrown on the ground,” says Joe. While Coachella is bursting at the seams with celebrities and influencers alike, there are as many talent agents working alongside each one to make sure they are delivering to their fans – many of whom have travelled from across the world to see them perform. 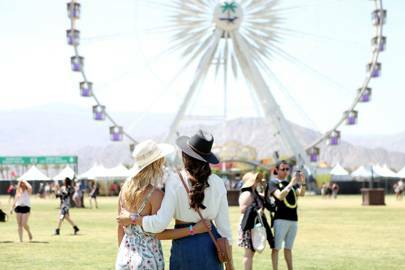 “I love Coachella – not just because the best artists perform each year but it is also an amazing opportunity to work on a huge number of clients and show my work,” says Patrick, hair stylist.